Sure, it’s a good thing. But as an author of a new book on Ida, I just wanted to point out that she was also consistently “overlooked” while she was alive, not only by white racists in the North and the South, but also by the NAACP and Black male (and white liberal) leaders. *COUGH*Carter G. *COUGH*W.E.B. *COUGH* 🙂 (The NAACP publicly pretended it, not her, started the organized fight against lynchings!) In fact, such treatment is a major part of my book. So, no, it’s no surprise that The New York Times ignored her; of course it did! 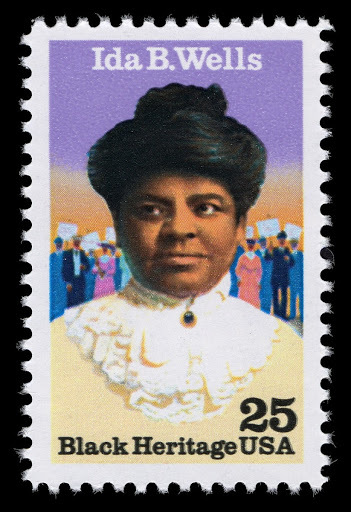 Ida B. Wells-Barnett is the historic link between Harriet Tubman, the great abolitionist and Civil War hero, and Ethel Payne, the pioneering twentieth century Chicago Black journalist who took up the journalism role she had pioneered. She lived during the time of the birth of Jim Crow and died 24 years before Rosa Parks refused to give up her bus seat to a white man, spurring the mass-action wing of the Civil Rights Movement. 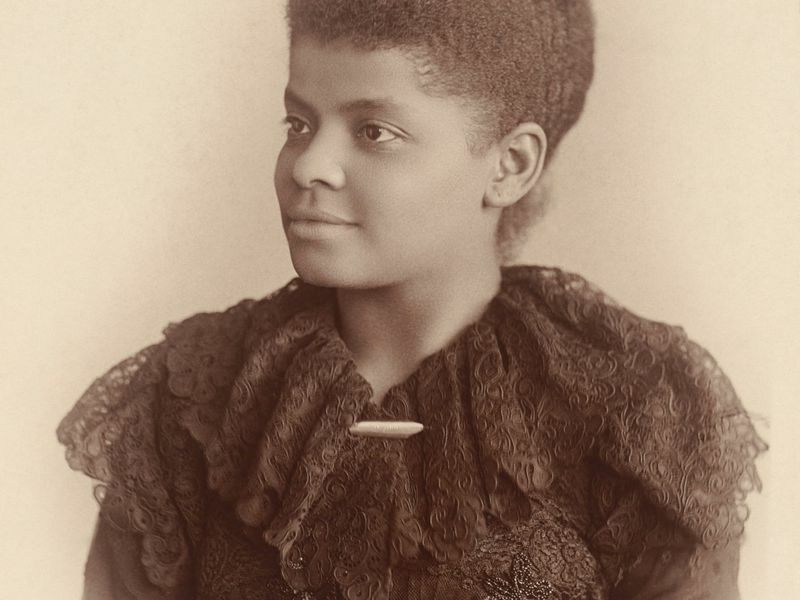 Ida B. Wells-Barnett (1862-1931) has gone from mid-twentieth century obscurity to a major twenty-first century subject in Women’s Studies and the history of Black American media. But her life was much more complex than the one paragraph portrait written of her: Black journalist, anti-lynching crusader. She was first and foremost a mother and wife. She was also a local Chicago community activist for decades. She was a devout Christian who believed deeply in the Black church and in Black schools, even when those institutions didn’t believe in her. She had no problem publicly criticizing Black ministers who failed to represent their flocks, and Black school systems when they failed the students in her charge. She would be fired and ostracized by many elements of the Black community for her stands. She was a major leader of several movements: the suffragist movement, the Black women’s club movement, as well as the National Association for the Advancement of Colored People. She was maneuvered out of power in many of the movements she led. It was especially despicable that, as the NAACP became more and more involved in anti-lynching, she was left out of its history, erased from the cause for which she risked her life! 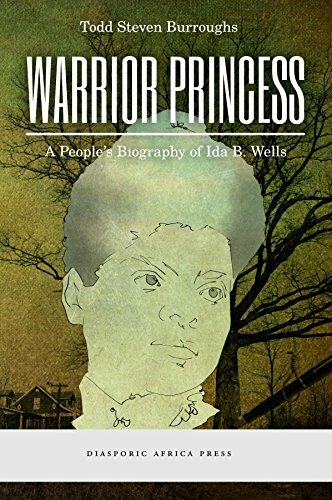 This new book, Warrior Princess: A People’s Biography of Ida B. Wells (New York: Diasporic Africa Press), shows how her independent spirit infused her work. By the time Wells-Barnett died, white women and Black northern men and women had the right to vote, the NAACP was on its way to becoming the most powerful civil rights organization of all time, and the Black press, thanks to the societal changes of the twentieth century, was about to become the most powerful nonreligious institution in Black communities. This work is not a work of biography as much as it an ideological portrait from a Black feminist perspective. It’s a book that discusses the ideas and institutions around Ida B. Wells-Barnett as she spent her life in teaching, journalism, anti-lynching campaigns, and civil rights and political organizing. It discusses how she balanced white racism of both genders, and sexism from Black male leaders. It attempts to show how one Black woman created and maintained her selfhood amidst such challenges. It is for Black women activists of the twenty-first century—those who are committed to showing that Black lives have always mattered most to them. It is for the young Black women who have spearheaded major protests and demonstrations during the presidencies of both Barack Obama, a Black Democrat, and Donald Trump, a white Republican. This personal history tells us not only that there’s no easy road, but no reward for standing for the basics of civilization. It shows that victory does not equal celebration or credit. That when you use a sword to cut down injustice, the people who pass through the barriers you broke can have selective amnesia. Ida B. Wells-Barnett demanded her own terms in life. She got them; she lived the life she wanted. But it was always a struggle, and the only reward was being able to express herself and live her own values in a deeply repressive time.